What do little sand bakers and sand chefs need in order for their dishes to succeed? 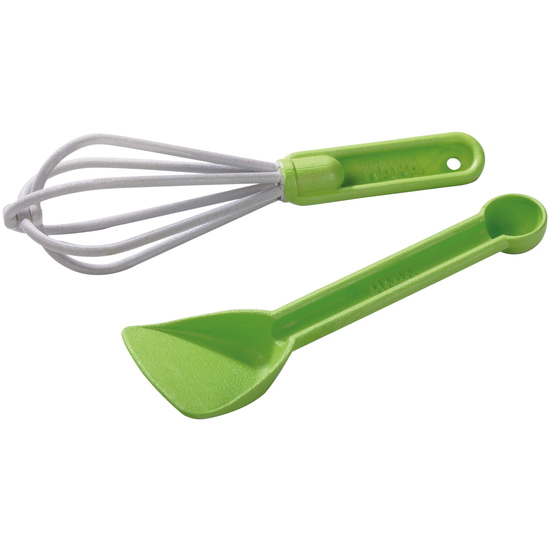 The right kitchen utensils: with the whisk, the fine sand cake is quickly mixed. And the practical egg lifter is just perfect for transporting everything in a splash to the plate. Yummy, delicious! Contents: 1 whisk, 1 spatula.